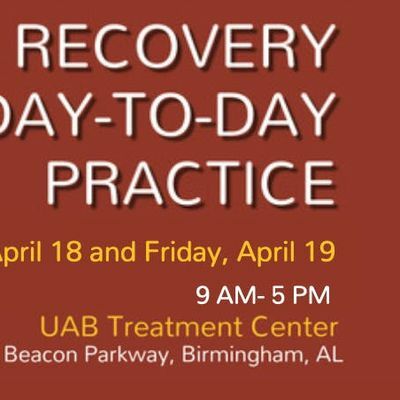 TRAINING for peer support specialists and professionals working in treatment and recovery fields. FREE! Registration is required to attend each day. Lunch will be provided. Professionals. CEs are available for Alabama licensed social workers.